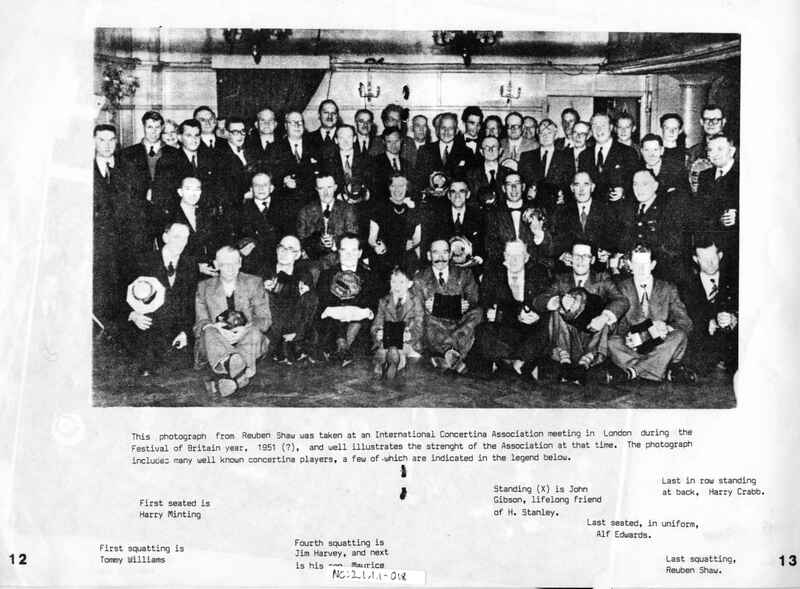 Full Description: Two good photographic copies, and four photocopies of the iconic photograph of the major gathering of the London-based "International Concertina Association" that took place in 1951. (Item NC: 2.1.1.1-017 ). The photocopies have a partial list of the members underneath the images.